Real-life Western lawman Wyatt Earp (1848-1929) has been portrayed in countless films over the years. The stories always take a fair amount of dramatic license, but Earp’s legend was such that his name and incidents from his life were a seemingly bottomless well of inspiration for Western filmmakers. The best-known Earp film of all may be John Ford‘s My Darling Clementine (1946), which is truly an American masterwork. Henry Fonda plays Earp, with Victor Mature a moving Doc Holliday; much of the film centers on their confrontation with the Clantons (headed by Walter Brennan) at the O.K. Corral. Over the years Earp has been featured in many more films, which again often focus on the famous incident at the O.K. Corral. These titles include Gunfight at the O.K. Corral (1957), with Burt Lancaster as Wyatt Earp and Kirk Douglas as Doc Holliday, and a decade later, Hour of the Gun (1967), with James Garner as Earp and Jason Robards as Holliday. In more recent years Kurt Russell played Earp in Tombstone (1993), co-starring Val Kilmer as Holliday. The year after that, Kevin Costner played the title role in Wyatt Earp (1994), with Dennis Quaid as Doc Holliday. This month we’ll take a look at a trio of very good Wyatt Earp films which aren’t nearly as well known as the titles mentioned above yet are worthy, well-done movies. Frontier Marshal (Allan Dwan, 1939) – Fans of My Darling Clementine (1946) who see Frontier Marshal will feel a curious sense of deja vu, as the movies share a number of similar scenes and characters. Both 20th Century-Fox films were based on Stuart N. Lake’s book Wyatt Earp: Frontier Marshal, with Sam Hellman’s Frontier Marshal screenplay receiving story credit for Samuel G. Engel and Winston Miller’s later Clementine screenplay. Lake’s book had actually also provided the inspiration for an earlier Fox film also called Frontier Marshal (1934), with George O’Brien playing a character modeled on Earp, though his character had a different name. Randolph Scott stars as Wyatt Earp in the ’39 Frontier Marshal, with Cesar Romero acquitting himself extremely well as Doc Halliday. (Online sources say the studio changed the name slightly due to fears of a lawsuit from the Holliday family.) Earp initially plans to start a business in Tombstone but soon finds himself employed as a lawman. 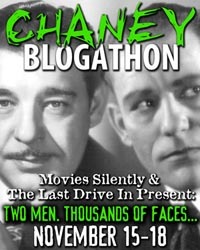 Earp’s chief nemesis in this version is played by John Carradine, with Lon Chaney Jr. and Joe Sawyer also on hand as bad guys. Scott plays Earp as calm and confident, traits which are also integral to the Wyatt Earp character in the films discussed below. Frontier Marshal and My Darling Clementine are different in a number of respects, including the fact that the earlier film is significantly shorter at just 71 minutes; it almost seems an abridged telling of the familiar story. 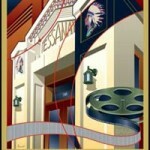 Despite the variations between the two films, those who have seen the better-known Clementine will easily recognize various moments in Frontier Marshal, including a girl (Nancy Kelly) from Doc’s past looking at a photo in his hotel room; Doc performing emergency surgery; an actor (Eddie Foy Jr.) performing in a saloon; and even a woman (Binnie Barnes) thrown into a horse trough! While Frontier Marshal has solid direction by Allan Dwan and is quite entertaining in its own right, the similarity of many scenes with My Darling Clementine certainly brings home to the viewer the added depth which a director like John Ford brought to the table. Frontier Marshal is a good movie, while My Darling Clementine is a masterpiece, with note-perfect performances, emotional resonance, and remarkable visual poetry. A bit of cast trivia: Charles Stevens plays the role of Indian Charlie in both the ’39 and ’46 films. Ward Bond, who would go on to play Morgan Earp in My Darling Clementine, appears in a small role in this film and for good measure also appeared in the 1934 version! Chris-Pin Martin, who plays Pete, would also appear in the next Earp film discussed, Tombstone: The Town Too Tough to Die (1942). 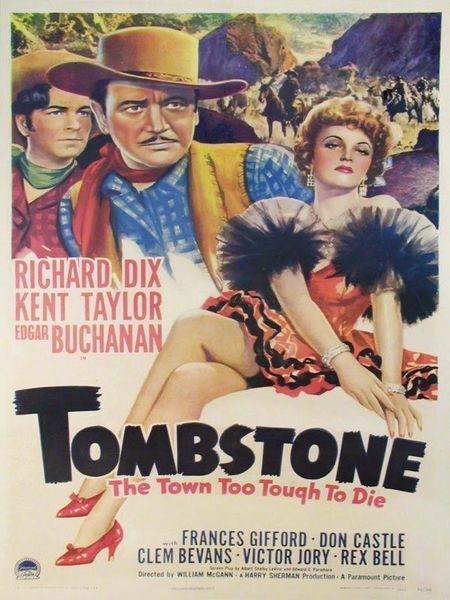 Tombstone: The Town Too Tough to Die (William C. McGann, 1942) – This movie is rarely seen these days; like many films released by Paramount Pictures, it’s now owned by Universal and is not available on DVD or even VHS. It stars Richard Dix as Wyatt Earp, with Kent Taylor as Doc Holliday and Rex Bell and Harvey Stephens as Virgil and Morgan Earp. 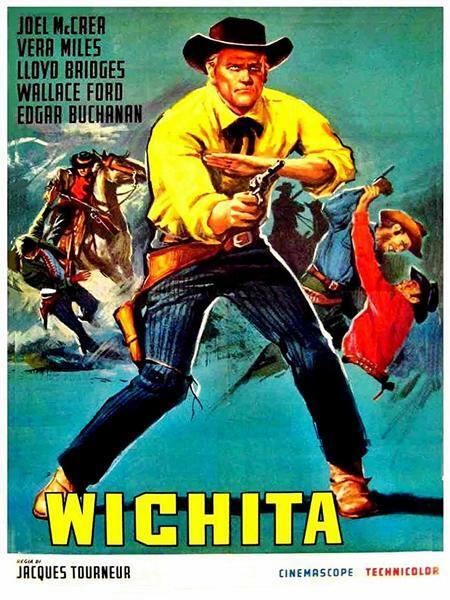 The film traces some familiar Earp territory, as Wyatt agrees to serve as sheriff of Tombstone after seeing a child shot and killed, a theme that would be repeated in the next film discussed, Wichita (1955). Part of the story is unique to this film, focusing on Wyatt working to reform wayward Johnny Duane (Don Castle), including reuniting Johnny with his hometown love (Frances Gifford). More significantly, Wyatt, his brothers, and Doc battle the Clanton gang (Victor Jory, Donald Curtis, and James Ferrara) and outlaw Curly Bill Brocious (Edgar Buchanan), who was played by Joe Sawyer in Frontier Marshal. I’m not an Earp expert by any means but my reading indicates that some aspects of this film are somewhat more authentic than other Earp movies, particularly the close-range gunfight at the O.K. Corral, which is over and done within a relatively short time. The scene is wonderfully staged, with Earp, his brothers, and Doc checking their gun belts as they walk oh-so-deliberately toward the corral, with the sound of their boots advancing ever closer striking fear in the hearts of the Clantons. The movie also depicts the murder of Morgan Earp as he played billiards, which in real life took place a few months after the O.K. Corral incident. That’s followed by a massive, nicely staged shootout filmed in the Alabama Hills outside Lone Pine, California — a location also utilized in Frontier Marshal. Director William McGann handles the action well and keeps up a tight pace in this 79-minute film, which was shot by Russell Harlan. The cast is excellent, headed by Dix as the genial, confident Wyatt Earp. I particularly enjoyed Taylor as Doc Holliday and just wish his part had been a little bigger. There are a handful of moments, such as a bit of “comic relief” with an anonymous couple in a saloon, that could have been pared out in favor of more screen time for the main characters. That said, overall this is a well-done film I like quite well and have enjoyed on multiple occasions. 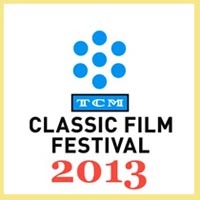 Wichita (Jacques Tourneur, 1955) – The last film on this list is my favorite. 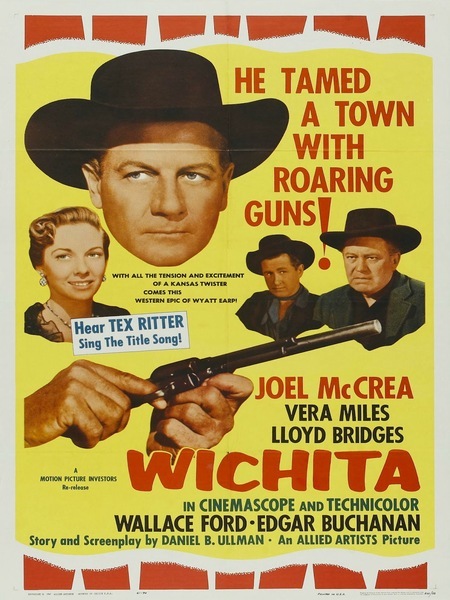 Wichita is a beautiful collaboration between director Jacques Tourneur and leading man Joel McCrea, playing Wyatt Earp. Tourneur and McCrea had previously worked together on another wonderful film, Stars in My Crown (1950), in which McCrea played a small-town pastor in the post Civil War era who faces down a lynch mob and copes with a typhoid epidemic. In Wichita Tourneur impressively uses the entire CinemaScope frame, with one of the most memorable shots coming near the beginning, when Earp is just a speck riding on the horizon. The movie’s beautiful look, filmed by Harold Lipstein, is paired up with a strong script by Daniel B. Ullman. 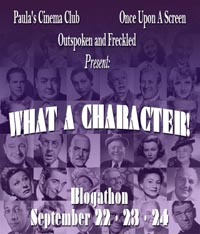 In this version of Earp’s life we see his first meeting with a young newsman, Bat Masterson (Keith Larsen); he also courts his wife (Vera Miles), spends time with his brothers (Peter Graves and John Smith), and cleans up Wichita, where the villains include Lloyd Bridges and Robert J. Wilke. As the movie ends, Wyatt Earp is headed for a job in Dodge City. McCrea’s Earp is a noble man who would prefer to be a businessman, but as he stares at the lifeless body of a child he reaches for a gun and a badge, ready to do the job others won’t do. Earp seems to constantly be confronted with violent situations, noting “I guess I was born under a troublesome star,” yet he’s never less than calm as he deliberately does what must be done. His quiet certitude belies his amazing speed with a gun, which time and again enables him to successfully deal with violent men. This Allied Artists film is a pitch-perfect, satisfying 81 minutes. Perhaps my only complaint is it needs more of handsome Peter Graves as Morgan Earp, but his sequence is so wonderful I’m willing to forgive him being short-changed on screen time. This is up there with my favorite McCrea performances. It’s a terrific film from start to finish. Wyatt Earp is a supporting character in several other Westerns, notably Winchester ’73 (1950), played by Will Geer, along with a trio of lesser-known but likeable George Montgomery Westerns: Gun Belt (1953, played by James Millican), Masterson of Kansas (1954, Bruce Cowling), and Badman’s Country (1958, Buster Crabbe). Millican also played an Earp-inspired character in the wonderful Rory Calhoun Western Dawn at Socorro (1954). All of these films are likely to find their way into future Western Roundup columns! 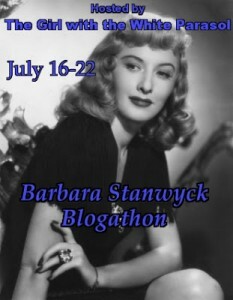 This entry was posted in Posts by Laura Grieve, Western RoundUp and tagged western movies, Western Roundup, Wyatt Earp. Bookmark the permalink. Wonderful! I got to read this quicker than I thought because I just couldn’t keep away! There are other Earp-inspired westerns of course where the characters are called something else entirely, such as “POWDER RIVER” with Rory Calhoun and Cameron Mitchell in the Earp/Holliday situation and “MARSHAL OF MESA CITY” with George O’Brien and Henry Brandon similarly. I really like all three of the westerns featured here. The Scott is an excellent western albeit only a medium-budgeted affair. But it shows what a great western hero Scott was going to make in the future. I am very fond of the series of westerns Richard Dix made for producer Harry ‘Pops’ Sherman. All were good to varying degrees IMHO with “THE KANSAN” a special favourite (another Earp-inspired story perhaps?). “TOMBSTONE” is not quite as good maybe but not much in it really. Dix was solid in these roles. “WICHITA” though is another matter. Fully agree with your opinion of this film, Laura. In fact, it would almost certainly be in my Top 10 westerns. Nothing jars, it flows beautifully, the ‘scope lensing is excellent and McCrea truly terrific. 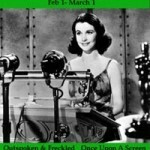 These pieces for Classic Movie Hub are fine pieces of writing that I am enjoying enormously. Wonderful choice and a superb trio of Earp movies. 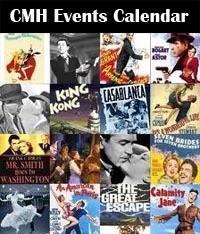 Westerns on Blu Ray next year,mainly from the Universal vaults. They have announced some “most wanted” titles including RAILS INTO LARAMIE. 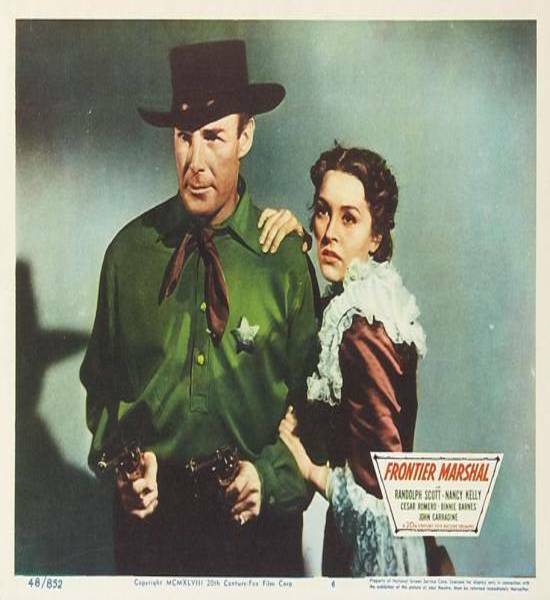 Hickock and Frances Farmer as Calamity Jane. TO DIE another much sought after film. WICHITA,the film certainly deserves the high-def treatment. one of the first Spaghetti Westerns in fact. Guy Madison as Wyatt Earp and very good he looked in the part as well. Euro efforts-it’s a shame that the films were not better. 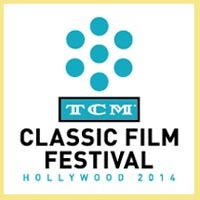 starring Sean Flynn and Ann Todd-the film became a major release World-Wide. Laura, another fine write-up of a sub-genre of Westerns that I have had an interest in since the 1960’s. The Earpiana Westerns. My first viewing was of Hugh O’Brien as Wyatt Earp in the TV series THE LIFE AND LEGEND OF WYATT EARP(1955-61) in syndicated re-runs. First and foremost, I separate the authenticity of the “real” Earp brothers and the “reel” Earp brothers. I enjoy reading about both. I think you selected three really good “reel” Erapiana westerns. I really enjoyed all three. Are you planning any more write-ups in Earpiana, because there are several to choose from, as you have listed above. 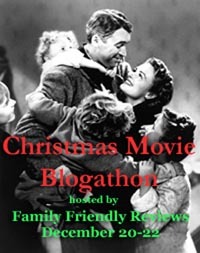 One addition, to your fine list, is LAW AND ORDER(1932) starring Walter Huston as Frame “Saint” Johnson(which is Wyatt Earp) and Harry Carey as Ed Brandt(Doc Holliday). The names were changed to protect W. R. Burnett’s novel SAINT JOHNSON(1930) and Universal Pictures from the wrath and lawsuits of Josephine Sarah Marcus Earp, who was Wyatt Earp’s common law wife/widow. Sadly LAW AND ORDER has never had a VHS or DVD release. This Classic Pre-Code movie can be found on YouTube, but it is a poor copy. Although, I’ll take what I can get. You mentioned the 1934 FRONTIER MARSHAL starring George O’Brien as Wyatt Earp under a different name. Josie Earp was threatening a lawsuit, so Fox Studios dropped Wyatt Earp from the title and O’Brien became Michael Wyatt and Alan Edwards became Doc Warren. I’ve read where this one is considered a lost Movie? 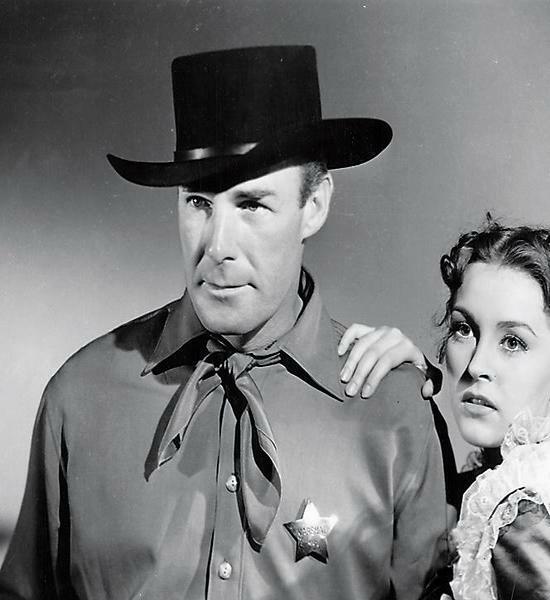 Josie Earp was suing again over the use of Wyatt Earp’s name in the title of a Fox movie, so the Randolph Scott movie became FRONTIER MARSHAL, but Randolph Scott was Wyatt Earp in the movie. Fox Studios settled with Josie Earp, money wise, so we have Scott as Wyatt Earp. Cesar Romero is Doc Halliday, not Holliday. I wouldn’t doubt if the Twentieth Century Fox Studio lawyers didn’t want to be sued by the Holliday family. On another note, Allan Dwan, director of FRONTIER MARSHAL(1939), knew the real Wyatt Earp. 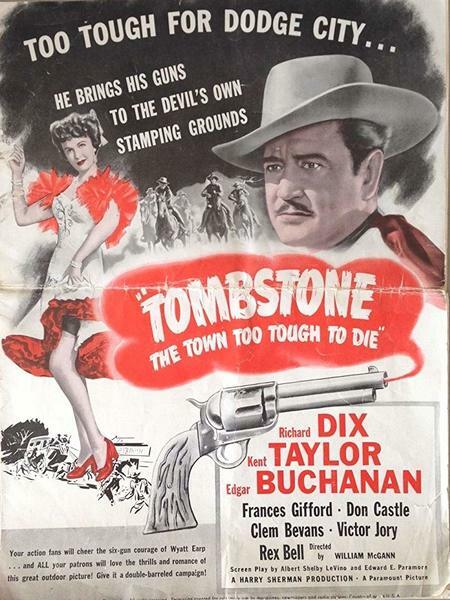 I like Richard Dix in TOMBSTONE: THE TOWN TO TOUGH TO DIE and I would like to add another Richard Dix Wyatt Earp portrayal in THE ARIZONIAN(1935). Again, this is very loosely based on the Earp/Holliday story written by Dudley Nichols and directed by Charles Vidor. The names were changed, I would think, to protect RKO Radio Pictures from Josie Earp lawsuits. The ARIZONIAN stars Richard Dix(Clay Tallant), Margot Grahame(Kitty Rivers), and Preston Foster(Tex Randolph) in the Doc Holliday role. The Kitty Rivers character is somewhat loosely close to the real Josie Earp. Laura, I’ve rambled on enough and I hope you return to the Earpiana Westerns in the future, because you are always a really good read. For Wyatt Earp fans there’s a book called “Lady at the O.K. 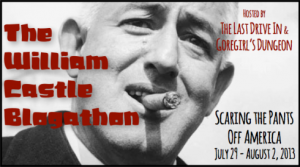 Corral: The True Story of Josephine Marcus Earp” by Ann Kirschner. It was a fascinating book and contained many different stories than the movies! Happy New Year, and thanks so much to everyone for the kind and informative comments! Billy, you’re so welcome, thanks for the good wishes! I appreciate you taking the time to read and comment. Jerry, I really enjoyed your comments. THE MARSHAL OF MESA CITY might be my favorite George O’Brien “B” Western. I’ve seen it a couple times now but it’s a good reminder to revisit it soon, it’s short and sweet. It’s been a good five years since I saw POWDER RIVER and I don’t remember it well so that would be a good one for a rewatch as well. I agree about FRONTIER MARSHAL, it’s one of the films that begins to lay the groundwork for the Western star Scott would grow into. And Cesar Romero is really very good in it. I liked THE KANSAN too! Dix has grown on me more and more over the years — he was my most-watched actor of 2017, in fact. And I love knowing how many fans WICHITA has! Let’s cross our fingers for a Blu-ray one day, it deserves it. Thank you also so much for your encouraging words, Jerry. It means a great deal, especially as you know Westerns as well as anyone I know! And my thanks goes to you as well, John, another Western expert! You and Jerry have really helped me expand my Western knowledge over the last few years to the point I could write this column. I would really love to see the titles you mention, such as RAILS INTO LARAMIE, come out in nice Blu-ray or DVD releases! I’d never heard of GUNMEN OF RIO GRANDE and will keep my eyes open for it. Walter, I really enjoyed all the great info you shared. 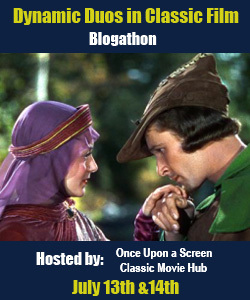 Would you believe I haven’t yet seen Hugh O’Brian’s TV series? Something to anticipate in the future. I have a copy of LAW AND ORDER (thanks to Jerry!) I need to make it a point to finally watch this year. 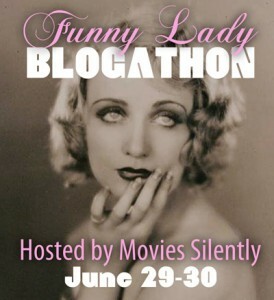 (So many movies, so little time, etc.!) Being a big O’Brien fan, I certainly wish I could see his FRONTIER MARSHAL. 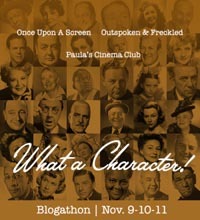 I liked THE ARIZONIAN a great deal (I’m a Preston Foster fan in addition to being a Richard Dix fan!) – when I watched it it dawned on me that the previously mentioned MARSHAL OF MESA CITY was a remake. Happiest wishes to all for 2019!